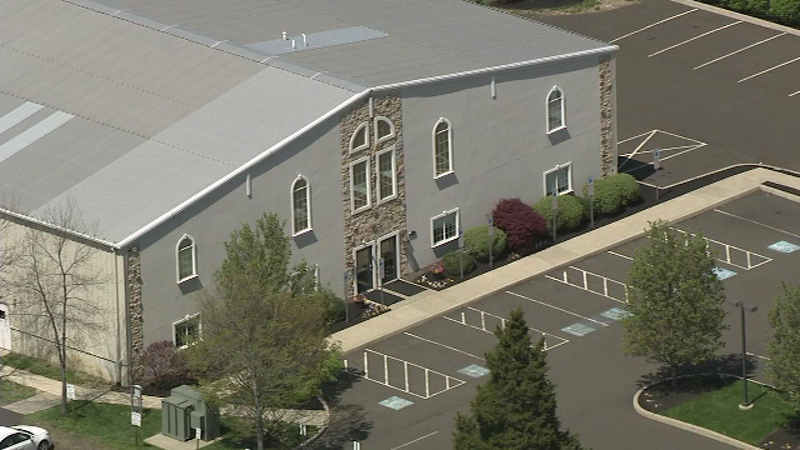 NORTH WALES, Pa. -- A suspect is in custody following a deadly shooting at a church in North Wales, Montgomery County in suburban Philadelphia. Initial reports came into police around 11:23 a.m. Sunday of shots fired at Keystone Fellowship Church on the 400 block of Stump Road. A male victim was taken to Lansdale Hospital. A source tells Action News the victim has died at the hospital. Police tell Action News the alleged male shooter is in custody, but did not release any further information. On Facebook, the church confirmed the shooting. "We at Keystone are saddened to confirm that a shooting took place at our Montgomeryville campus this morning. One man was shot and another is being questioned by police; no one was else was hurt. Police and medical personnel were called immediately. Police are investigating and we will release further information as soon as it becomes available. Our congregation is in prayer for everyone involved," the message read. Montgomery County detectives are working alongside Montgomery Township police on the investigation.